Barack Obama put Palm Springs on the world map when he fled there from a chilly Washington DC on the day of Trump’s inauguration, and thousands of architecture buffs will follow him there in February. For this California resort awash in sun, sand and mountains is actually most famous for the greatest concentration of mid-century modern homes in the world. 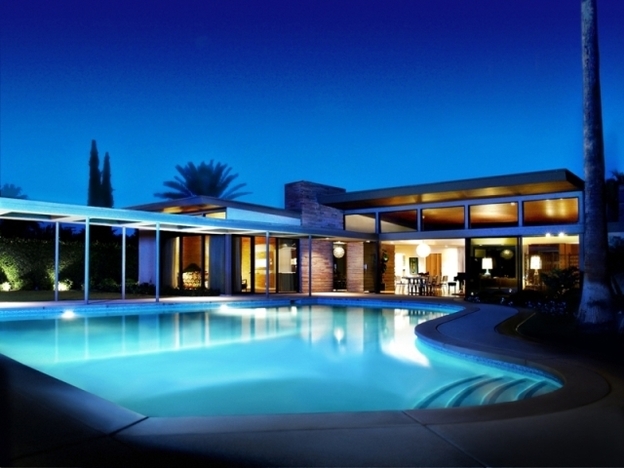 Celebrities built boldly here in the golden age of Hollywood – even Frank Sinatra, who arrived with grandiose ideas of a neo-Georgian mansion before being persuaded to embrace the steel-framed glass and spare lines which made these modernist houses a shock to residents more used to Spanish-style trimmings. But the newfangled designs proliferated, and now attract 100,000 tourists a year to Palm Springs Modernism Week, an annual celebration of this unique architectural style. 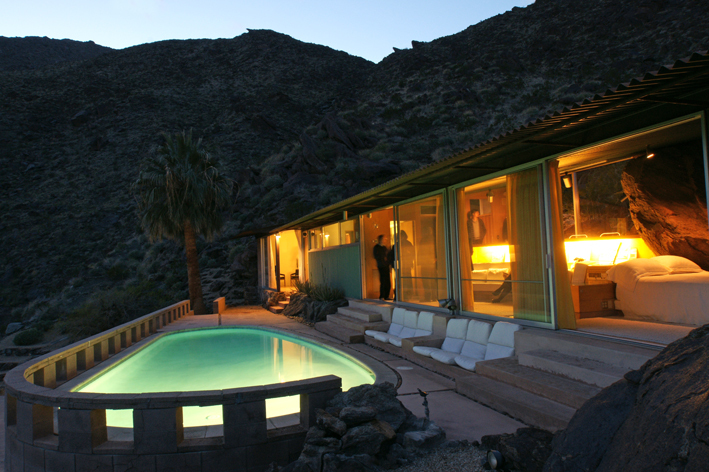 They come to look at buildings by world-class names like Richard Neutra and E. Stewart Williams, who built Sinatra’s house with its piano-shaped pool, as well as Albert Frey, who built the town hall, and whose own exquisite little mountaintop residence can be visited on occasional tours offered by its guardian, the Desert Art Museum. This February event – and an October preview weekend which offers the same guided tours in an open-top bus and visits of some of the most special homes, including Sinatra’s – are only one reason to visit the resort. It’s a great holiday playground, offering a walkable main drag, retro delights like the Tiki bars so popular in California in the 60s and 70s and wild mountains to hike in. 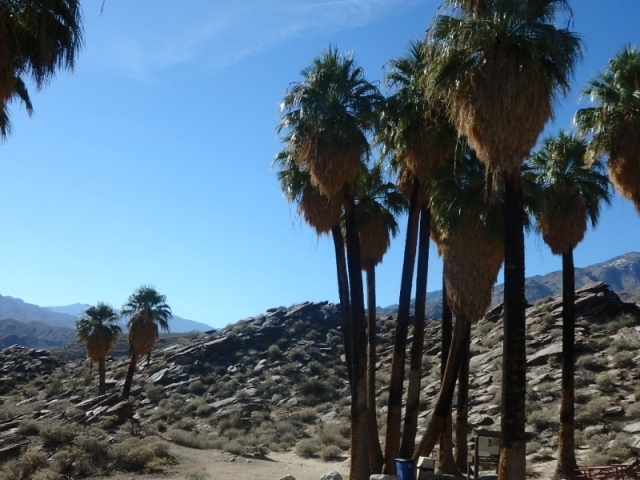 These can be accessed in by riding to the top of Mount San Jacinto in the thrilling aerial tramway or via Jeep tours with guides who verse guests in the traditions of the native American tribes who are the original inhabitants of the resort and still own much of its wealth. 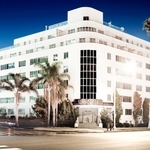 There are plenty of retro-themed places to stay, but it would be hard to beat the elegance of The Willows, built in elegant Spanish Revival style in 1925, and including Albert Einstein, no less, among its famous visitors. The mountain garden rising up behind the hotel is a great place to watch the sunrise, which turns the entire mountain range which forms the backdrop to Palm Springs golden. 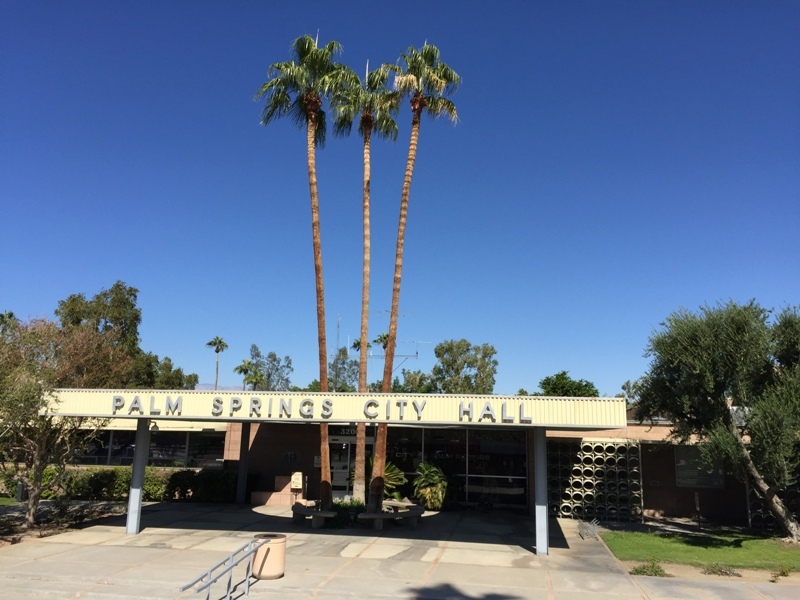 Clearly, a car is useful to explore neighbouring resorts like Rancho Mirage and Palm Desert, notable mainly for their restaurants and golf courses, but not necessary in Palm Springs itself, thanks to a free trolley which serves the principal boulevards. The two-hour journey from Los Angeles can be made economically with a ride-share in a futuristic Tesla electric car, thanks to Tesloop, which picks up at an LAX airport hotel and other strategic points in the city and stops at the shopping outlets outside Palm Springs as well as the resort itself. Architecture fans should note that LA and the whole west coast are awash in jewels of modernism, and a new travel guide gives valuable notes on where they are. The Mid-Century Modern Architecture Guide: West Coast USA is published by Phaidon, revealing details of little-known gems like the Eames house in Los Angeles which is another must-see for anyone making this trip to worship California’s great modernist architecture. How do I get to Palm Springs? Air New Zealand and other airlines serve Los Angeles from London daily. Rooms at The Willows from around £295 per night. Other similar accomodations are of course available! Ed.